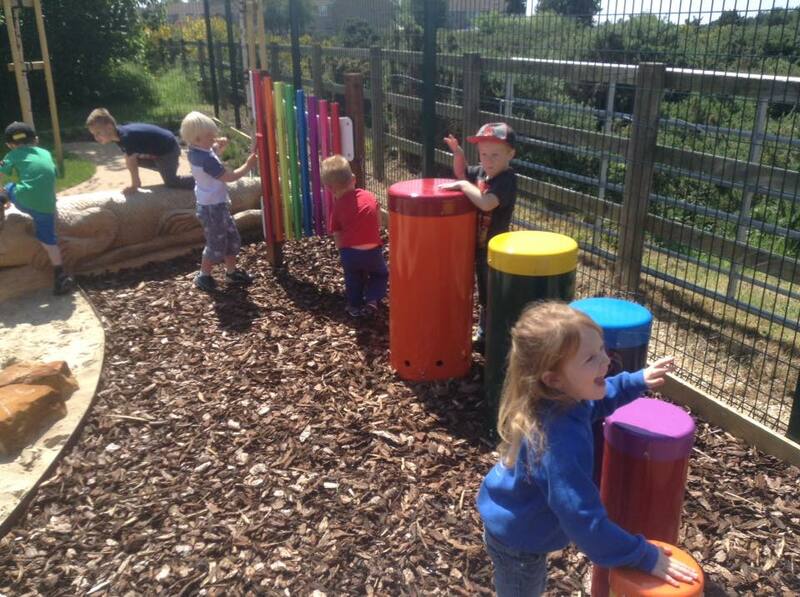 Every child at Hopscotch Pre-school has a key person whose role will be to meets the needs of each child in their care - whatever room they are in. 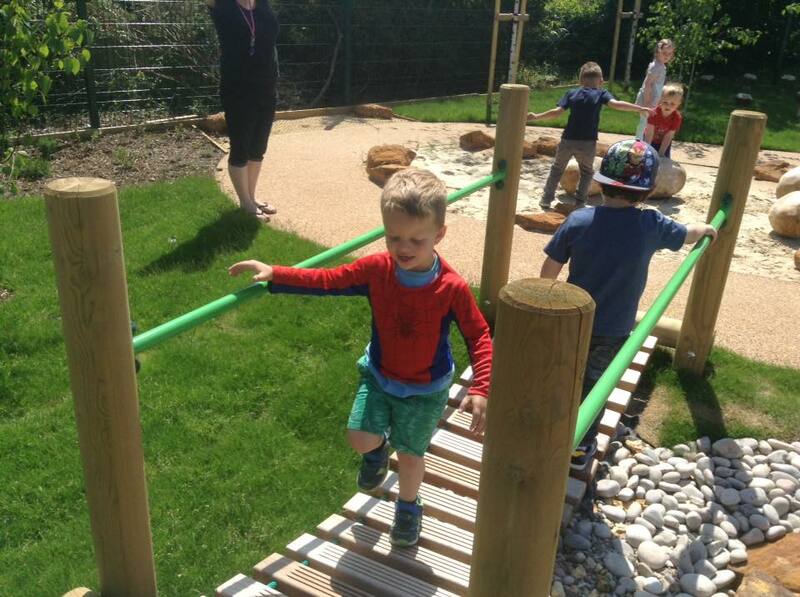 Each key person has responsibility for monitoring your children’s learning, updating your child’s development records and helping them work towards achieving their next steps. The next steps are the curriculum ‘goals’ set out within the Early Years Foundation Stage (EYFS) and are designed to support your child to progress to the next level through play. All this information is shared with you using our online learning journey, Evidence for Learning which allows you to log in and view your child’s special moments. The role of the Key Person is also to build a relationship with one member of staff giving them the reassurance to feel safe and cared for and to support them when making transitions to new experiences. We hold three parents evenings a year to give you the opportunity to discuss your child’s development and next steps. If you cannot make the dates offered please can we ask you to arrange an alternative day and time, appointments can be made during the day if scheduled in advance. 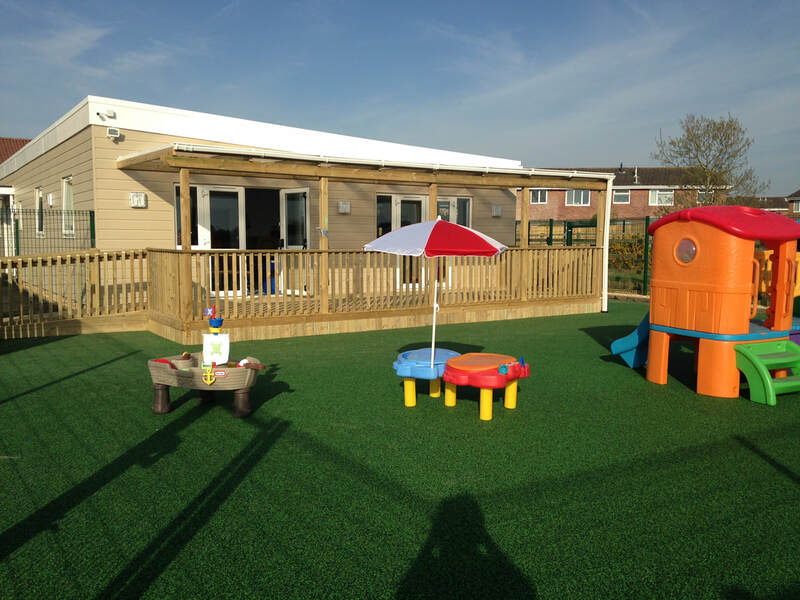 Our brand new room for babies opened in March 2018 - ages from 3 months old to two years old. The room is equipped with resources and equipment specifically suitable for this age. 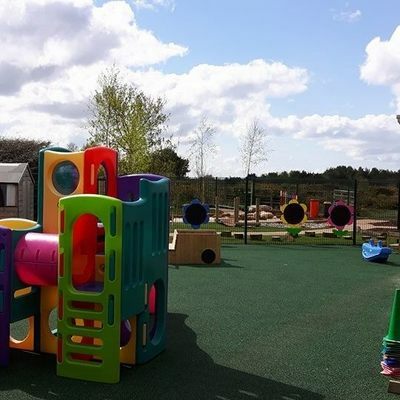 During your child's time with us we will aim to follow your babies home routine whilst promoting their development in a safe, loving and nurturing environment. 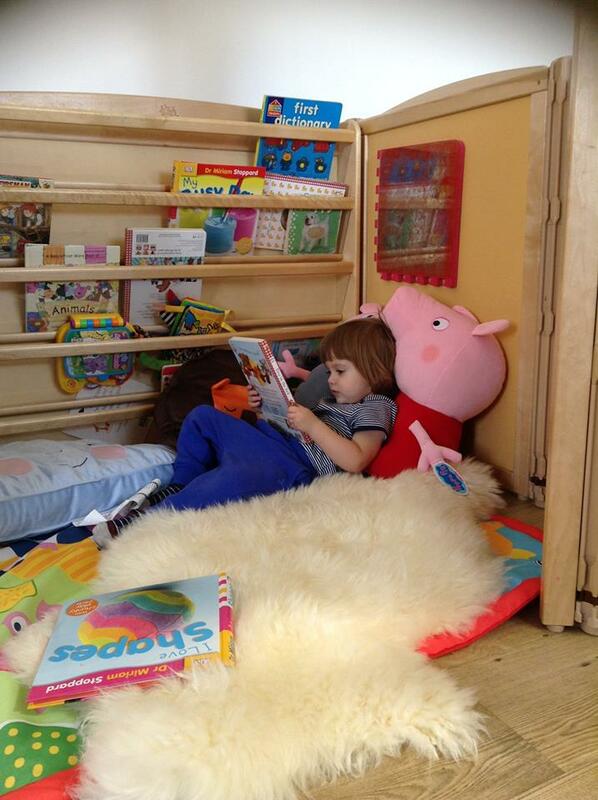 ​The Rainbow Room is specifically designed for children aged from 2 to 3. 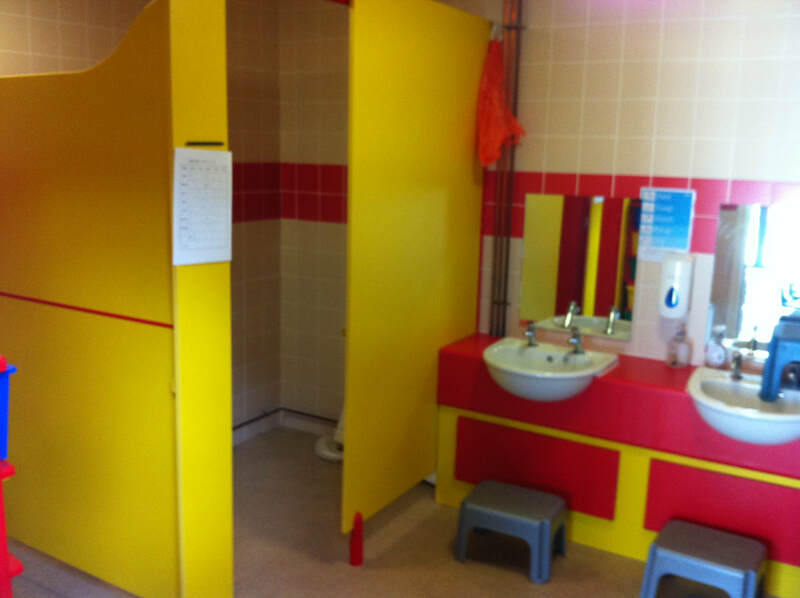 This class room is equipped with resources which are completely safe for children of this age. The Rainbow Room operates a free-play session with carefully planned activities led by very experienced staff who will tailor the play to support your child's learning. 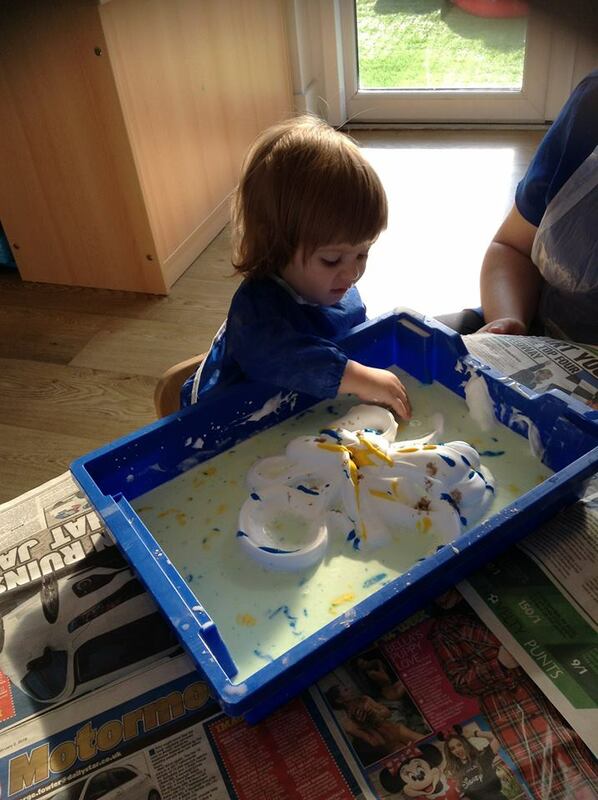 We believe that children learn most successfully when they are interested in the activity they are doing. We therefore plan a very detailed curriculum based upon each child's current interest and developmental stage. 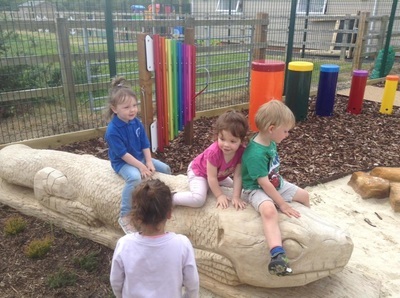 Children have access to the large outside area at all times. The outside area is covered in a rubber soft play surface making it extremely safe and is totally secure. ​The Sunshine Room is specifically designed for our older children aged from 3 to 5 who are preparing to go to school. 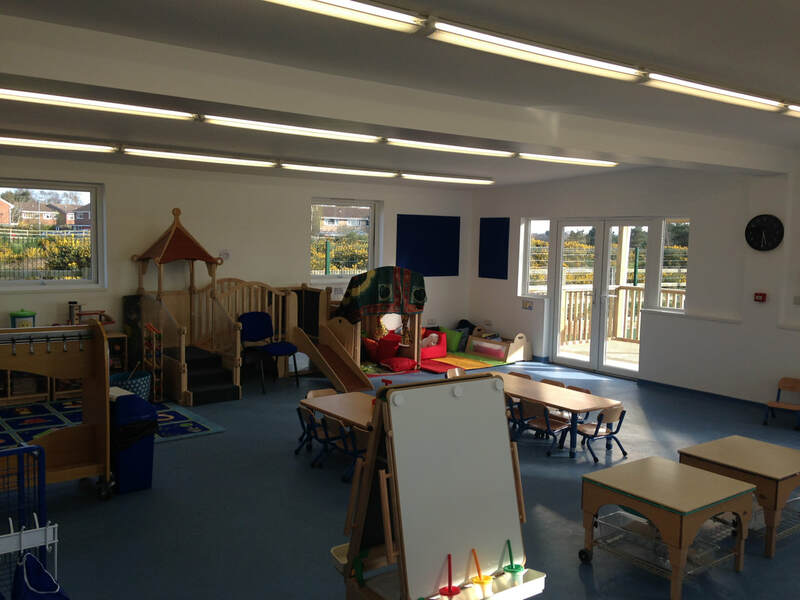 This class room is equipped with resources tailored to a slightly older age group than the Rainbow Room . 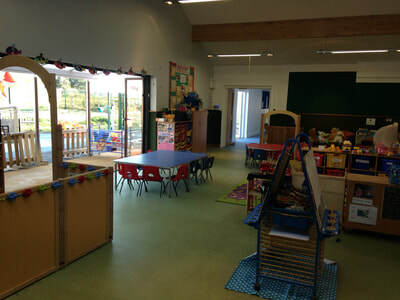 In the Sunshine Room in preparation for school, children are encouraged to become more independent such as putting on their own coat to go outside or pouring their own drinks. Like the Rainbow Room, the Sunshine Room also operates a free play-session with carefully planned activities led by very experienced staff who will tailor the play to support your child's learning, but additionally have a more structured carpet time focusing on phonics and listening skills. 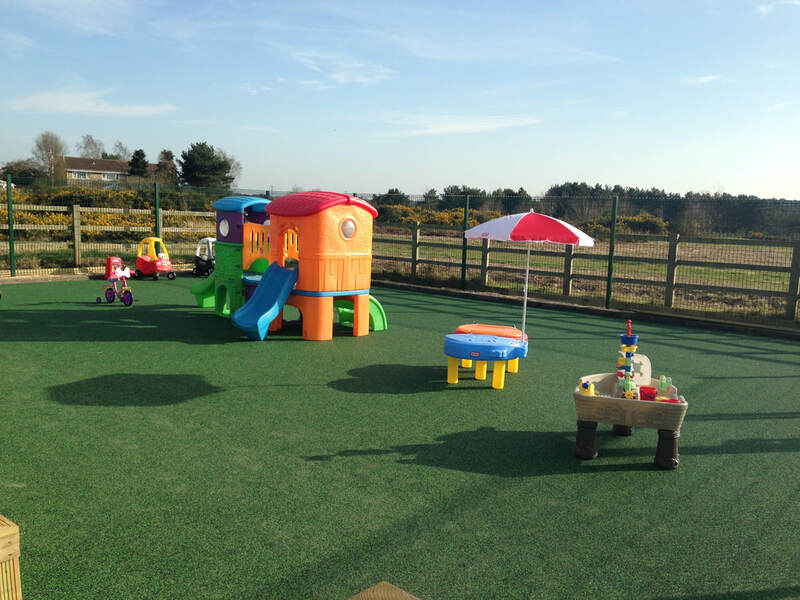 The outside area is covered in a rubber soft play surface making it extremely safe and is totally secure.